28/02/2017 update: for information on the more recent AWS outage, CLICK HERE. Cloud provider Amazon Web Services (AWS) suffered an outage on Sunday morning that sent shockwaves through the Web, with some users being unable to reach popular online services like Netflix, Tinder, Airbnb, Reddit and IMDb offline. It also affected a number of Amazon’s own services including Prime Instant Video. The service disruption was blamed on software problems in its US-EAST-1 data center in Northern Virginia, and mostly affected customers in the US. The outage started shortly after 2:00am PDT and lasted roughly five hours, with a total of 24 services reporting a wide range of problems, and ten of them in full ‘service disruption’ mode. According to the status page, the severely affected AWS services included CloudWatch, WorkSpaces, Simple Email Service, Cognito and DynamoDB. For example, network monitoring service CloudWatch delayed its log events, WorkSpaces managed desktop computing platform suffered connectivity issues and NoSQL database DynamoDB had trouble with its APIs. 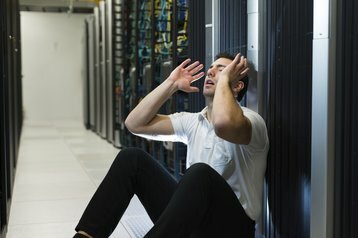 “Between 2:13 AM and 7:10 AM PDT on September 20, 2015, Amazon Web Services (AWS) experienced significant error rates with read and write operations for the Amazon DynamoDB service in the US-East Region, which impacted some other AWS services in that region, and caused some AWS customers to experience elevated error rates,” an AWS spokesperson said in a statement to DCD.